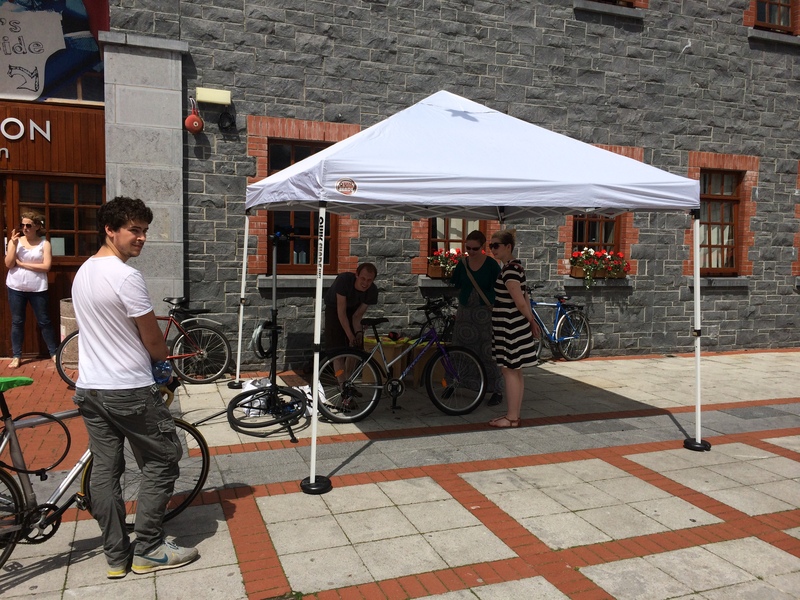 Promoting cycling at the University of Limerick was particular easy during this year’s Bike Week. Bicycle commuters enjoyed free teas, coffees, pastries and porridge under sunshine in the Students’ Union Courtyard on Tuesday and Thursday mornings. Bike training, bike commuting and bike tinkering stories were shared while sipping espresso-based coffee as if we were on the continent. And many bike were dusted off and rolled in as our bike mechanic joined the Farmer’s Market on Tuesday to offer staff and students free bike mechanic services. 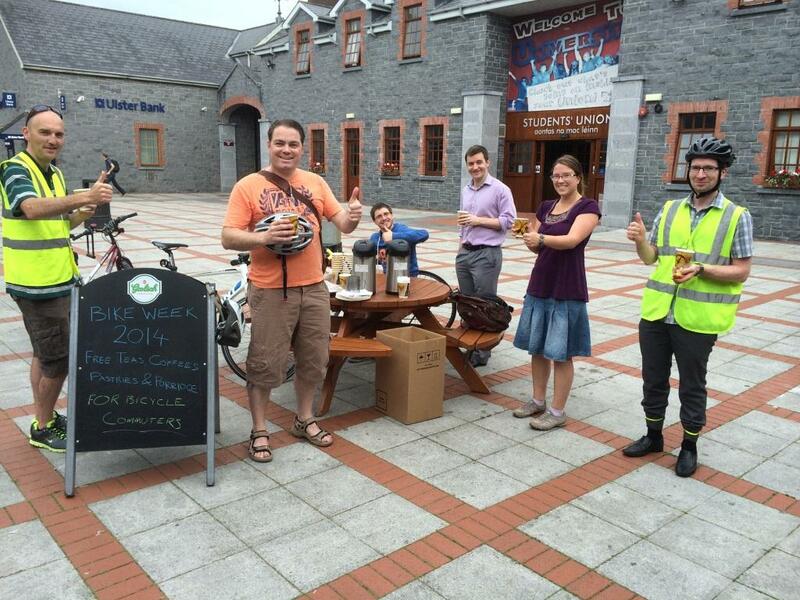 This entry was posted in Uncategorized and tagged UL University of Limerick Bike Week. Bookmark the permalink.